The Carbell kiln is designed for a stable and repeatable seal between the kiln and kiln car, while providing a strong and robust structure for the refractory insulation. One of our most innovative designs was the Carbell kiln manufactured in 1958 for abrasive wheels. 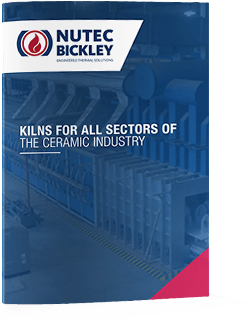 The success of this design made it a standard kiln within the ceramic industry with worldwide popularity and it is still used today in industries right across the world. The Carbell kiln is designed for a stable and repeatable seal between the kiln and kiln car, while providing a strong and robust structure for the refractory insulation. This is essential for firing at high temperatures but is also beneficial at lower temperatures since the kiln seal is more reliable than a shuttle style of door seal. The basic concept of this Top Hat kiln is an enclosed box-like structure without any doors, referred to as a bell. The bell kiln structure is raised and lowered by hydraulic cylinders. Once the bell is raised, a kiln car loaded with product – with wheels traveling on rails – is moved into position under the bell, which is then lowered over the top of the car. When the bell is fully lowered, a seal blade on the bell structure engages the sand seal trough around the perimeter of the car. The blade is made of alloy steel and is water cooled, providing a robust and durable seal mechanism. The exhaust of the Carbell kiln is a downdraft design through one or more flues in the car(s). The underfloor flue aligns with the car flues when positioned under the bell. This underfloor flue is connected to an exhaust fan that controls the pressure inside the kiln. 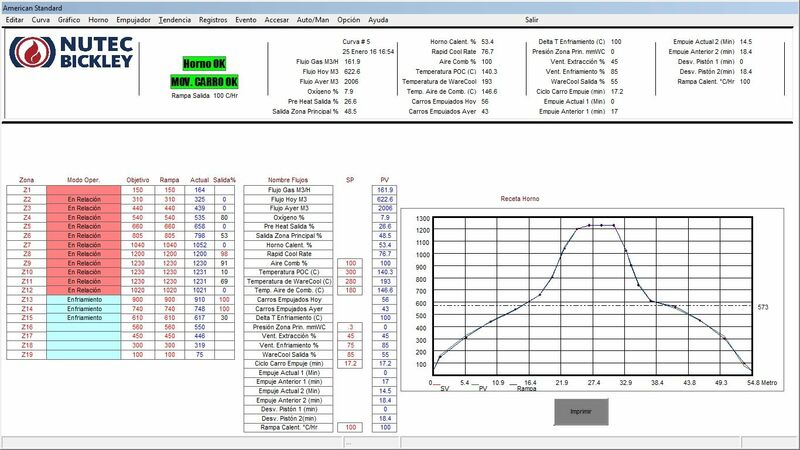 Automatic pressure control is achieved by varying the speed of the fan and is crucial for achieving fully optimized kiln temperature control. As the combusted gases exit the burner ports and lose their velocity, they are pulled through the load towards the car flue(s). This creates excellent temperature uniformity throughout the firing load. 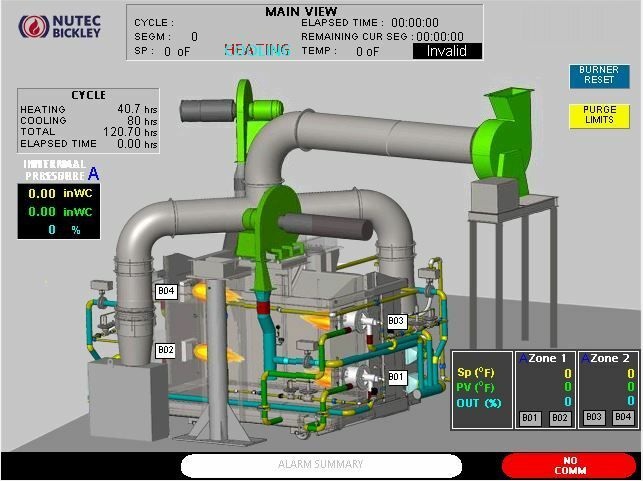 Furthermore, once the burner gas is turned off during the cooling stage of the cycle, the burner air continues to exhaust through the load, thereby promoting more uniform and controllable cooling by ‘scrubbing’ heat out of the load. The combination of improved sealing, burner arrangement and downdraft design results in the best possible temperature uniformity for a batch type kiln of this size. Downdraft exhaust design for excellent temperature uniformity and faster heating and cooling rates. Easy integration of afterburners (incinerators). Robust, low-maintenance seal between kiln and car using a water-cooled alloy steel blade. Atmosphere control (oxidizing and excess fuel). Pressure control that can be easily varied during binder burnout, sintering and cooling stages of the cycle. The Carbell kiln can be designed to use multiple cars that can be simply shuttled to and from the bell location. This makes re-firing the kiln quicker and more productive than a single car use. Burners are typically positioned at the corners of the Carbell kiln for small and medium sizes. For larger sizes, the burners can be arranged in firing lanes in order to maintain the ideal operational performance. Sizes: 1 m3 to 40 m3 (35 ft3 to 1,400 ft3). Insulation: fiber construction up to 1,600°C (2,900°F) and insulating brick up to 1,800°C (3,270°F). Fuel: natural gas, LPG, diesel, kerosene, other liquid fuels. Temperature: up to 1,800°C (3,270°F). Energy Recovery System: produces pre-heated combustion air up to 425°C (800°F). The Carbell kiln has no doors and incorporates an efficient seal design into the car/bell interface making this a very low maintenance design. Integrated combustion and control system which varies the atmosphere inside the kiln, using excess air only when the product requires it, making the Top hat kiln very efficient. Nutec Bickley's ‘Floating Anchor Refractory Support System’ which allows expansion and contraction movement of the refractory wall parallel to the steel casing, but keeps the refractories from moving away from the frame, providing for a longer service life. The Carbell kiln’s design provides for easy integration of afterburners and heat recovery equipment. Power Failure Protection System – from small nuisance disturbances (< 1 sec) to up to two minutes of power outages. The kiln remains on without kiln operations being interrupted, even with burners lit, to allow for simple ‘ride through’ and back-up power generators to come online. Network connectivity capable of live technical support and troubleshooting for faster and less expensive service. Over 60 years’ experience as the original designer of the Carbell in 1958. Many of the earlier built Carbells are still in operation today. Lifting system is designed to include safety features such as temperature interlock, pressure relief and water-based hydraulic fluids.